Season the meat generously with salt and pepper and place in a large dutch oven. Scatter the onions around the beef and pour the entire jar of mole over the beef. Fill the (now empty) jar with water, shake well and pour over it all over the beef. Cover and cook in the oven for approximately 3 hours. I turned the meat over a few times during cooking but this step isn’t completely necessary. Remove the meat to a board, shred with two forks and return to the pot. 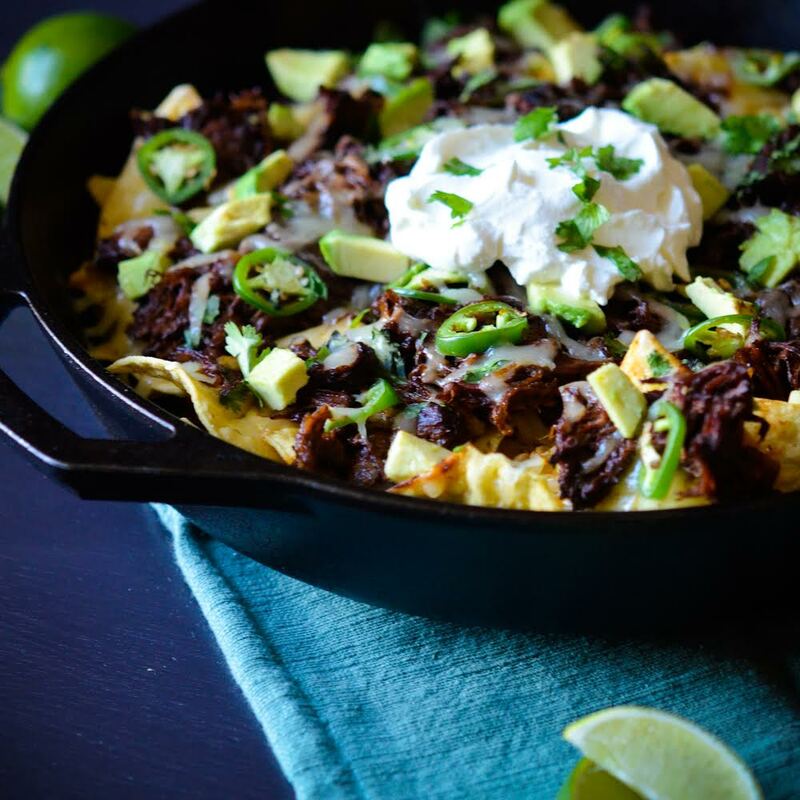 To assemble the nachos, fill the bottom of an oven proof dish or cast iron pan with tortilla chips, cover with desired amount of cheese, then add mole beef and scatter with jalapeño slices. Bake in the oven for 10 minutes or until the cheese has melted and then add toppings to your taste. Serves 2 to 4 people (depending on greediness). Enjoy!